Many students and teachers were surprised when 9/11 was not given a schoolwide memorial last Tuesday. In previous years, an announcement was read over the PA system or articles retelling the devastating story were handed out to students. East junior Kable Plaskey says that it was wrong for WBHS to disregard 9/11 this year. Beth Kastner, an East Spanish teacher, believes that there is a certain responsibility for the American people to carry on the legacy of 9/11 in a respectful way. Like many other students in the building, she was shocked and saddened when there were no announcements about the tragedy made in the morning or during resource period. Administration had originally planned on having West science teacher Paul DeLain read a prepared speech about 9/11 over the announcements that morning. DeLain, who is also a volunteer with the Germantown Fire Department, was not able to be at school to make the announcement, however. DeLain was dismayed when the plan fell through and the office took minimal action to find a replacement due to a lack of time. Both West principal Ralph Schlass and East principal Darci VanAdestine agree that the terrorist attack is something that needs to be respected and discussed. However, they believe that a schoolwide remembrance is no longer necessary and that the most appropriate way to handle the subject is in a social studies classroom. 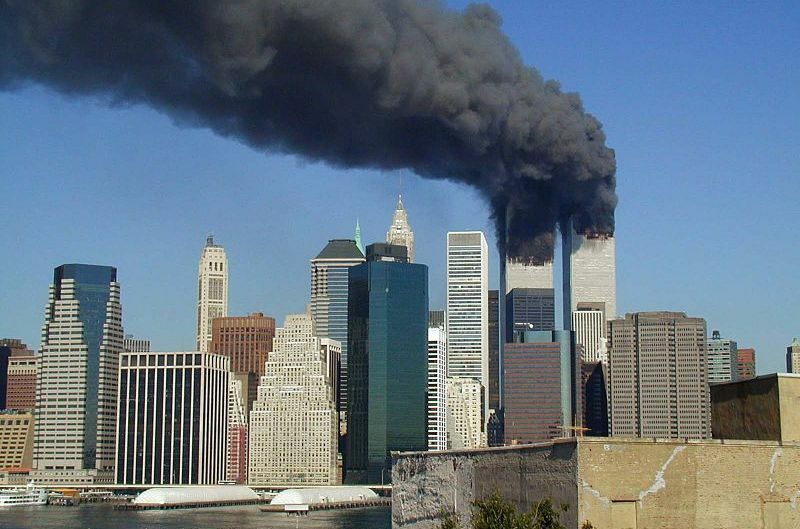 The curriculum for U.S. history and global studies both contain units regarding terrorism and global relations, which ultimately discuss the terror attack in 2001. “If it’s taught in the classes the teacher can talk about the context of it,” VanAdestine said. According to Schlass, 9/11 is an event that should absolutely be discussed in the social studies classroom, whether it be on that day or for a unit lesson. Changing demographics was another reason given by administration for why an announcement didn’t need to be made. Many students at WBHS were not born yet on the day of the attacks. If they were, they would have been too young to remember. Plumes of smoke billow from the World Trade Center towers in Lower Manhattan, New York City, after a Boeing 767 hits each tower during the September 11 attacks. Photo by Michael Foran, courtesy of Wikimedia Commons. Kevin Watter, a West Bend resident who actively served in the Marines as a corporal from 1990 to 1994, says 9/11 will never be old news. 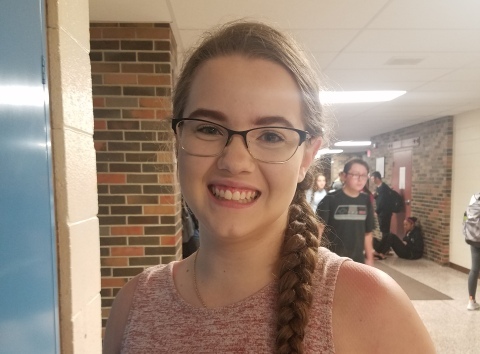 West senior Rachael Granec thinks that it is not only the duty of teachers and administrators to reflect on this event, but also the responsibility of students. West social studies teacher Aaron Paulin has a different view. He poses a question: Is there a time when it is suitable to not discuss 9/11 when the day comes around? He is aware of many other historical events that are not commemorated each year and feels that the sense of urgency to recognize 9/11 should be applied to other important historical events. Rachael Granec, West senior, says students have the responsibility to remember 9/11 and honor the American armed forces. Photo by Caitlin Marsch, Current Staff. There is one thing about which everyone can agree. 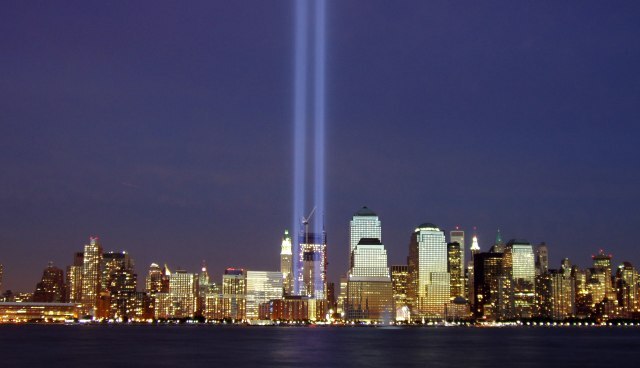 The events of 9/11 stunned the nation with how much impact one’s actions can make on other’s lives. Because of this, VanAdestine thinks that the event forces us to rethink our interactions with people in schools, and the world, in general. Like many teachers, VanAdestine also recognizes the importance of education to prevent similar events from occurring again in the future. Additional reporting by Samantha Dietel, Editor in Chief, and Caitlin Marsch, Current Staff. I am also a teacher in this district and I also became a firefighter and AEMT because of the events on 9-11-01. Nothing was done school wide in my building either. I hope many discussions were open and encouraged in classrooms that day, but I believe there should have been a moment of silence throughout the district. I will never forget that day and I have discussions about it with my wife and daughters (6 and 8) every year as we watch documentaries on TV. Great article! I was very shocked there was nothing said. If Mr. Delain wasn’t at school, there would have been many teachers that would have stepped up to help out if asked. I remember that day very well. I was here at school watching the second tower get hit from one of the TV’s in the West Cafeteria. I am also deeply disturbed that 9/11 was “overlooked.” As the wife of a 33 year member of the US Army, the impact of 9/11 on our society then and now needs to have a time to pause for reflection. To me this is like stating that the Holocaust in WWII was so long ago that we don’t need to ever discuss it. SO not true!! It is our duty as Americans to remember the sacrifices of family and friends regardless of how long ago something happened. One can say that most of our students weren’t born yet, but when I spoke to my students about 9/11 in Multicultural Foods, many were surprised to know that we lost someone from the neighboring town of Kewaskum, which is close enough to “make it real” for students. My students had questions, which I was able to answer. If we don’t give young people exposure and time to pause for reflection, we are doing society as a whole a disservice! I would have gladly stood in for Mr. Delain! !